Ridley’s Scott “The Martian” is a decent movie with, at the time of this writing, the amazing Rotten tomatoes score of 93%. But guess what? 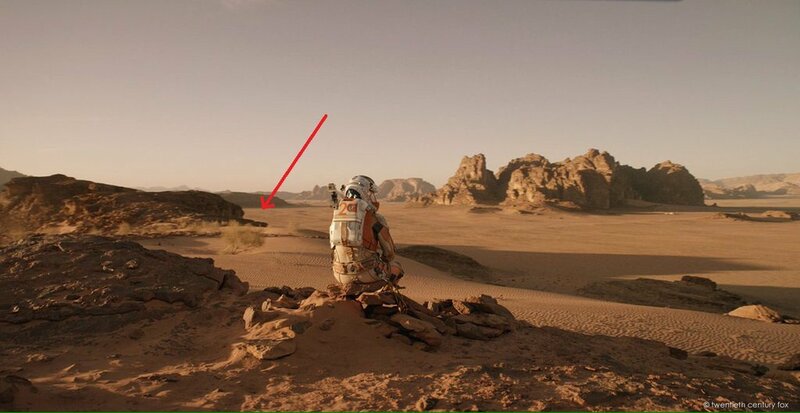 The Martian wasn’t actually shot on Mars! What, seriously Mr Scott? And we can now prove it, thanks to twitter user @cieletespace, who spotted a nice mistake in one of the officially released pictures of the movie. And no, I haven’t seen the movie yet (waiting for the digital version to come out), but the book was pretty good too.